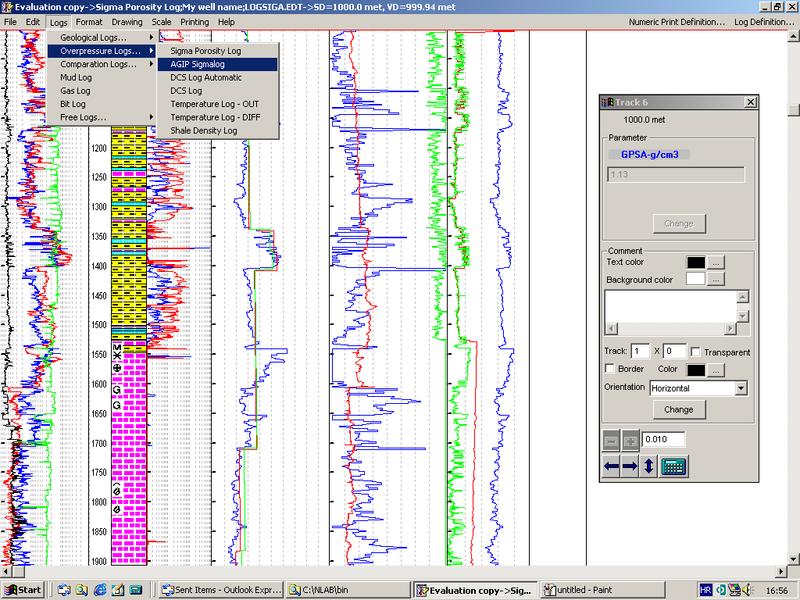 Application package for Drilling monitoring, Mud logging and Off-line data analysis and reporting. Works with a set of acquisition board by directly accessing them over the appropriate driver. Support for up to 64 analog channels, movement and heave measurement sensors and pump strokes and rotary table revolution sensors. 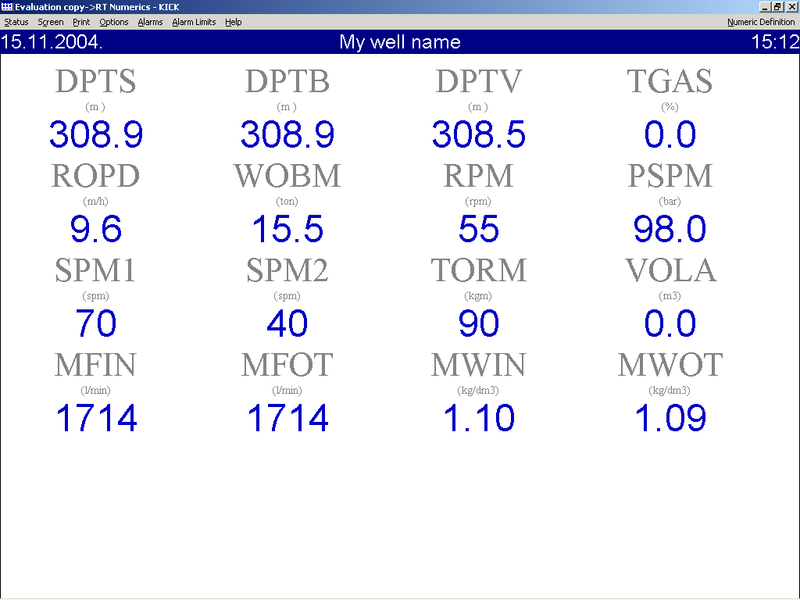 Real-time overpressure parameters calculations ("d" exponent, Sigma, pore pressure, fracture gradient, ECD, etc. Values can be displayed In user selectable/customizable output units. Interfaces for various gas chromatograph types. Real-time vertical depth calculation based on entered deviation survey data. Drilling operation status detection and determination. Data Link Server serves data to remote monitoring site that has Data Link Client companion product. Alphanumerical and graphical (strip-chart) printing with user customizable output and (optionally) automatic, status dependent, output definition selection. 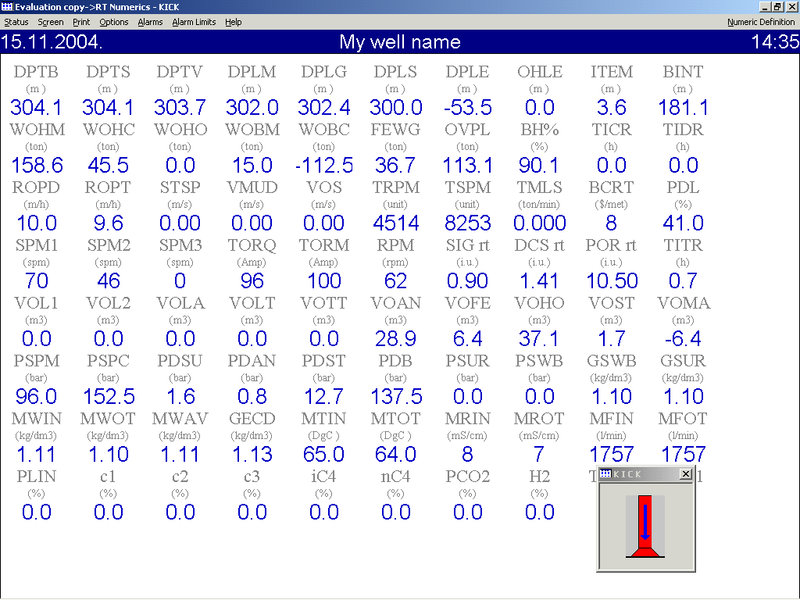 Alphanumerical and graphical display with user customizable output and (optionally) automatic, status dependent, output definition selection. On screen graphical and numerical editing. Data export to text files. W.I.T.S. Level 0 records compatible interface. 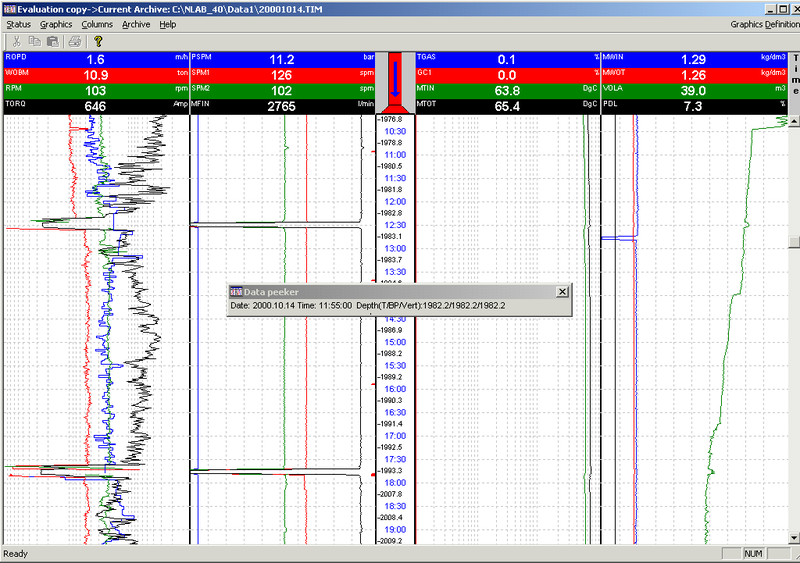 Alphanumerical and graphical (stripchart) printing with user customizable output and (optionally) automatic, status dependent, output definition selection. Offline package for data entry, processing, calculations and data analysis and reporting. Application for hydraulic calculations, simulations and optimizations. Application for deviation survey data input, calculations and reporting.